I don’t see as much potential in him as everybody else, really. I think he’s a roleplayer at best. Lacks the ball skills to be more. But that’s fine... not everybody has to be a star. You can take the skillset he already has and mold it into a rotation-worthy player, provided that he makes significant strides in his understanding of the system. Good shotblocker, solid rebounder, solid finisher on offense, willing passer. If he learns to use what he has then he’s a valuable piece, even if he doesn’t really have more than roleplayer upside. I think his ceiling would be as a Clint Capela type player which, if he gets there, would be a pretty decent career. I can almost guarantee he would do that on another team...but maybe not 15 points a game. 8-12 points, 8 rebounds and 3-4 blocks easy. The problem is those things aren't important in Brad's system unless it's a wing going against another wing. Then he thinks it's oh-so-great. I've always been a wing, but I can tell you right now you can't win without rebounding and defense from bigs. Don't even know what they're thinking. The leading shot blocker this year was Myles Turner, with 199 for the season (2.7 per game). You think Robert Williams would "easily" average significantly more than that? On another team sure he would. In what...6 years everyone has seen what Brad gets out of bigs, and in that time his most productive one was a fat guy...because of his OWN skill level at that. Modern NBA? Come on man...there's nothing great about these teams and Golden state is the only team that stands out. I don't see them getting by the 90's Knicks, who everyone says couldn't score but was kinda bs, and I hated that team. The Jazz, Rockets, Spurs, Sonics, Kobe-Shaq Lakers, and even the Mark price-Brad daugherty Cavs I don't see them getting by. Or the Bird coached Pacers. we might also want to consider the possibility that TL just really isnt ready for a lot of prime-time nba minutes. his offense is still very raw. his defense is consistent. he has trouble following the defensive schemes at times. 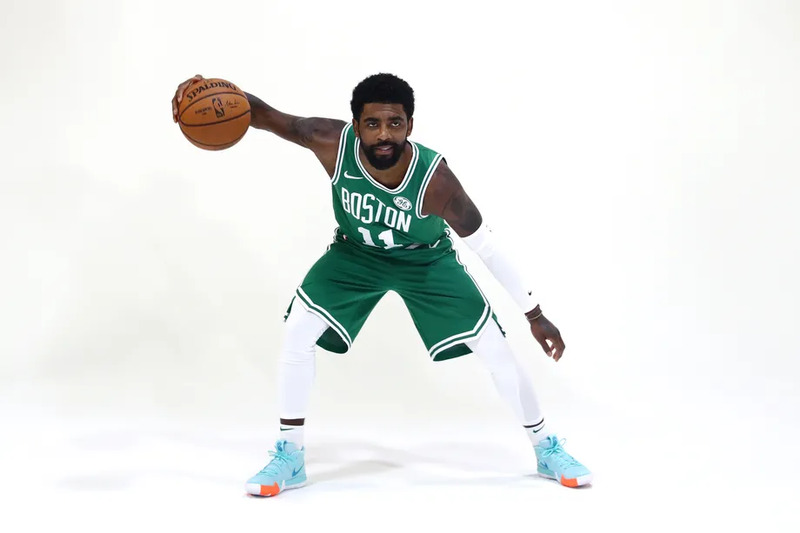 i just dont think it would help the celtics if he played even 10 to 12 minutes each night. but give him a year or three and i think he might begin to reach the hopes being discussed here. bitter jim brought up a legitimate point about your "guarantee" that TL would average 3 to 4 blocks a game. that was a very questionable number you put out there. what was your basis for it other than a hope? your reply ignored his point and simply changed the topic. please address bitterjim's point on the number of blocks so as to continue the conversation in a coherent way. Because that's simply how he plays, and his first instinct. The only way he knows how to play. There's no way his numbers don't go up with more playing time. My lord, some of these takes. If it was so easy to average 12 assists per game do you not think that Westbrook, or Simmons, or Rondo in his prime would’ve done so? Can anyone who thinks RWill can average 3-4 BPG care to explain why better shot-blockers - who are considerably less foul-prone than Williams - such as AD have never averaged 3+? Why the hell would Kyrie average 11 assists? He's by far our best offensive player. You don't want that guy passing. Steph Curry has 150x more talent on his team and he only averages 5 assists. Kyrie should actually average less assists and take more shots than he does.